The Kansas State women’s basketball team fell to in-state rival Kansas in a low-scoring game Sunday afternoon at Bramlage Coliseum, 61-54. The Wildcats fell to 10-6 overall (1-3) after their first home loss of the 2018-2019 season. Neither team shot the ball well in this game; Kansas shot 34 percent in field goals, and K-State shot 35 percent from the field. The Wildcats ended the day shooting just 10 percent on 21 shots from beyond the arc. The big difference in this game was the margin between turnovers and points off turnovers. The Wildcats turned the ball over 19 times to Kansas’ 13 turnovers. 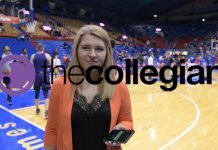 The Jayhawks were able to capitalize off K-State’s turnovers, but the Wildcats couldn’t off those from Kansas. The Jayhawks ended the game with 19 points off turnovers, and the Wildcats finished with only nine points off turnovers. Senior Kayla Goth finished with 11 points, junior forward Peyton Williams finished with 19 points and sophomore guard Rachel Ranke finished with 10 points. The other two starters — junior forward Jasauen Beard and freshman guard Christianna Carr — had a harsh shooting night. Beard finished with five points, and Carr scored only one point. The Wildcats need more out of Beard and Carr on the offensive side of the ball. All in all, it was just a harsh day offensively for the Wildcats. 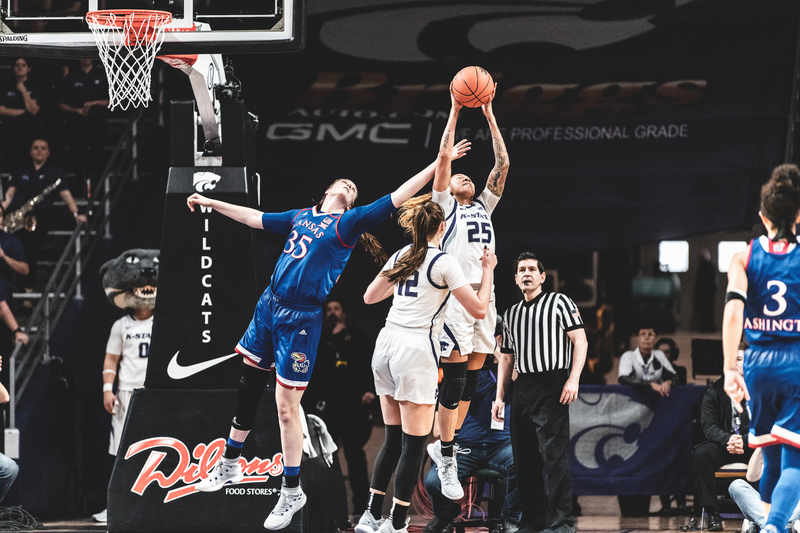 The Wildcats will look to come out stronger when they host the Texas Longhorns on Wednesday at 7 p.m. at Bramlage Coliseum. Fans can watch the game on ESPN3 and can listen on the K-State Sports Network.